Colombian Strike Organizers - Live Event! r18. Colombian Civic Strike Organizers Speak! In 2017, workers and residents of Colombia's principal Pacific port of Buenaventura launched a 3-week civic strike that forced the Colombian government to negotiate solutions to the city's social and human rights crisis. Meet representatives of that Strike Committee and hear about their struggles and successes. 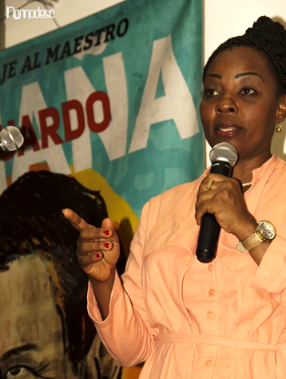 Maria Miyela Riascos Riascos is a spokesperson for the Buenaventura Civic Strike Committee. Miyela together with other social leaders coordinated the civic strike that paralyzed the port city for three weeks last year. In February 2018, she became one of several strike leaders to receive death threats, following the assassination of strike committee spokesperson Temistocles Machado. 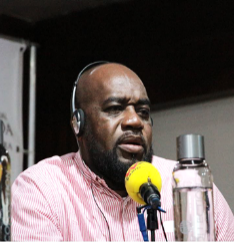 Victor Hugo Vidal Piedrahita is chief negotiator for the Buenaventura Civic Strike Committee. Victor Hugo is an organizer for the Black Communities Process (PCN) in the province of Valle del Cuaca. He served as a Buenaventura municipal councillor from 2012 to 2015. 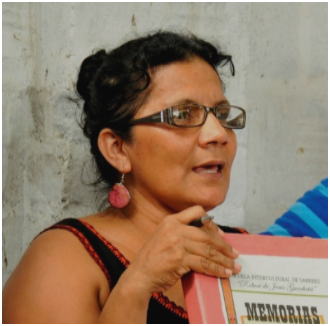 Olga Araujo Casanova is a human rights defender and popular educator who works for the Association for Social Research and Action (Nomadesc), an organization that accompanies Afro-Colombian, Indigenous, campesino and labour groups in southwestern Colombia. She worked extensively to assist organizations in Buenaventura to prepare the community assemblies prior to the general strike. Organized by Front Lines, a coalition of Canadian labour organizations working for human rights in Colombia. follow on Twitter | friend on Facebook | forward to a friend Copyright © 2018 CoDevelopment Canada, All rights reserved.